A firm for real life and real people, serving clients from Cave-In-Rock, Illinois to Bayfield County, Wisconsin. For most individuals, various aspects of their lives are intimately connected. A divorce could affect a person's finances, real estate or push him or her into bankruptcy. Financial problems can lead to other personal and legal problems. Rarely is one legal matter limited to one area of life. Over the years, the Law Offices of Thomas C. O'Brien has gained unmatched experience handling some of the most difficult situations people may face: bankruptcy, divorce and child support, complex real estate transactions, and trust and estate planning. We provide comprehensive representation tailored to your immediate needs while helping you plan for future . A lawyer’s first objective is an astute analysis of the client’s circumstances, followed by an honest response. That's what you'll get at the Law Offices of Thomas C. O'Brien. Tom attended Washington University in St. Louis, Missouri, where he earned his Bachelor of Science in Engineering and was awarded his law degree thereafter. After law school, he spent two wonderful years as a professional musician, playing banjo with Your Father’s Mustache in nightclubs across the United States. He still enjoys occasional performances with Antioch's Dixie Dudes. Tom eventually landed in Chicago, passed the Illinois bar in 1968 and has dedicated his life to the practice of law ever since. He was admitted to the Wisconsin Bar in 1980 and remains one of just a few attorneys practicing daily in two different states. His fluency in both states’ laws, especially in family law and bankruptcy law has proven an invaluable aid to clients in interstate matters. In 1994, Tom was admitted to the Federal bar in Michigan and participated in the Embrace Systems case, a famous Grand Rapids bankruptcy trial for which the opinion is 42 pages long. He is also licensed in Missouri. 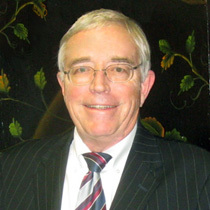 Tom's unique skill is his ability to rapidly assimilate the details of a case, providing a quick analysis and response to nearly any legal issue presented. This skill, coupled with his extensive network of contacts and unshakable integrity has earned Tom the loyalty of clients from St. Louis to Milwaukee, most of whom entrust him with all of their legal matters. In my third year of engineering school, I took a Business Law course taught by country lawyer, Northcutt Coyle, from Hillsboro, Mo. He handled small business deals (some profitable, some not), family law, foreclosures and other areas of general practice. His practice touched on every area of people's lives. His stories moved me, and made me realize what I was put on earth to do.